My parents tell me that the spoken Punjabi or written Gurmukhi curriculum in India was nor structured nor vigorous for the average person from Punjab. 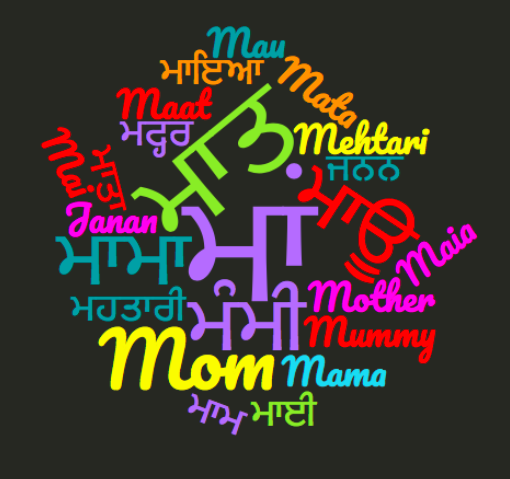 It's affirmed that with complete cultural immersion in the language one may find it easier to converse, read, write, communicate and comprehend commonly spoken dialect as well as have the privilege of learning Gurmukhi. 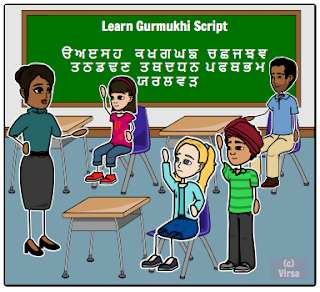 For others like myself whose native language includes baseline Punjabi and Hindi-learning Gurmukhi and fluency in written and spoken Punjabi may require intentional diligence a lifetime of commitment to learning. My parents for numerous collective discussions at the table, their enthusiasm, perspective on puratan and contemporary distinctions, Gurmukhi spell check, phonetics and Punjabi enunciation and last but not the least for imparting wisdom (at times it seemed like osmosis). Many thanks to other friends and family for their candid, thoughtful and logical literary feedback and unwavering support. Thank you also to the readers who continue to send in suggestions each year! 6. Srigranth.org. This was step two and the dictionary is some what challenging for those who cannot understand the gurmukhi script. This was helpful in locating specific Gurmukhi words in the Guru Granth Sahib for cross links. 7. Sikhitothemax.com Again another excellent resource I gravitate towards to cross check transliterations, translations and specific pages. 8. Kaulonline.com The Indic Typewriter. 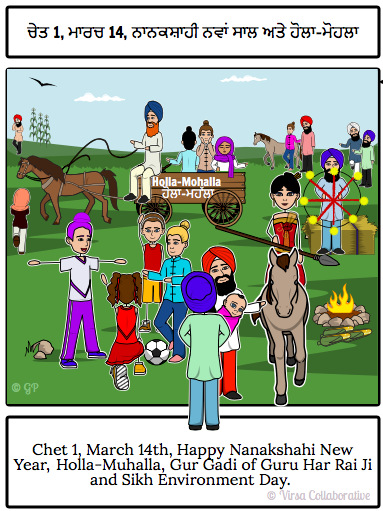 I used this resource to type out the Gurmukhi (Punjabi) and Devanagri(Hindi) letters and then using a picture editor to create graphic images. 9. SriDasam.org: Another excellent resource. Translations here are some what different that the traditional ones by Harbans Singh Doabia. 10. The Gurmukhi Primer compiled by Shamsher Singh Puri: this book was a great to practice the Painti Akhri and muharnee (sounds). 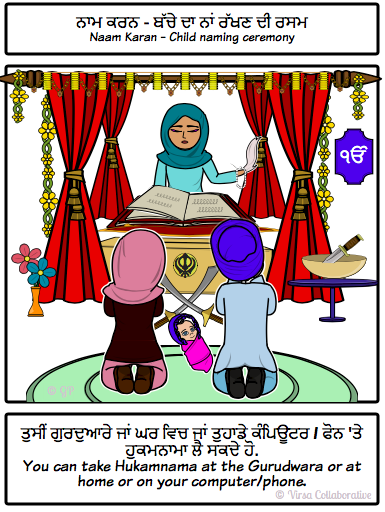 11. www.SearchGurbani.com is another excellent reliable resource. Last but not the least, I would like to thank all the subscribers and readers of www.SikhNames.com who continue to send hundreds of emails and feedback. I may not be able to thank each individual for their valuable contribution but please know that your feedback is very important in delivering a product based entirely on the vision of sewa (service) that is of value to the readers. This humble sewa is free to the public with the caveat that there is a likelihood of error as I am neither a Gurmat scholar nor an expert in Gurbani translation. I too probably have unintentionally interjected my own bias and superimposed my preconceived ideas during the translation and script writing process. This website (www.SikhNames.com) which is now a blog, is a one of a kind compilation, the concept is an original creation. Contributions to this effort are without monetary compensation and for the sole purpose of sewa for the sangat at large. No concept(s), information, graphics or photographs from this blog or website or the original sikhnames.com website may be reproduced or used on another website or for any other means without express written permission from our team. Please ask me if you wish to reproduce or use any portion of this blog or website. Usually, I will request source credit and link back. Please pardon any errors herein. Feel free to provide feedback and suggestions. DISCLAIMER: This blog is a labor of love and a hobby which the team pursues outside of career and work-related activities as permitted by time and life obligations. The content of This blog is strictly the work of its authors and has no affiliation with or support from any organization or institution. All opinions expressed on this blog are solely those of its authors and do not reflect the opinions of our employers, institutions or their affiliates. All opinions on this blog are those of their authors and should never be taken as advice in any form. ADVERTISEMENTS: We may link to Google, Amazon and other affiliate links to help support this project.